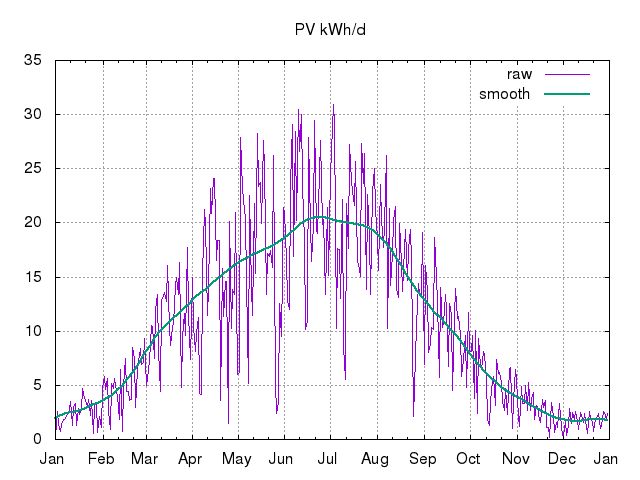 The last sample time was 20190419T18:55Z. 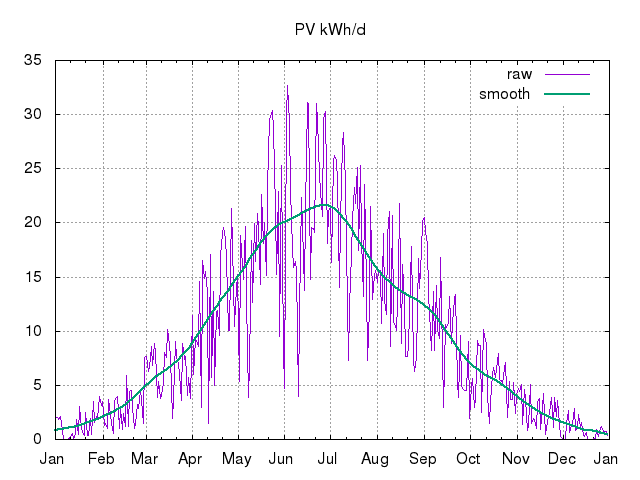 The last sampled power was 0W. 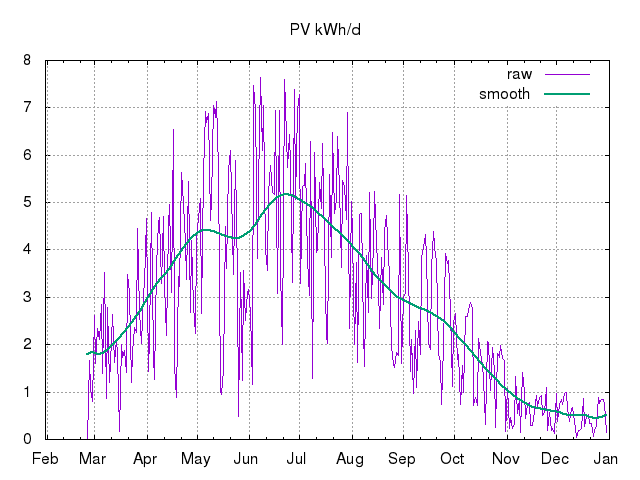 See Enlighten public view of system c/o Enphase/Envoy monitoring. 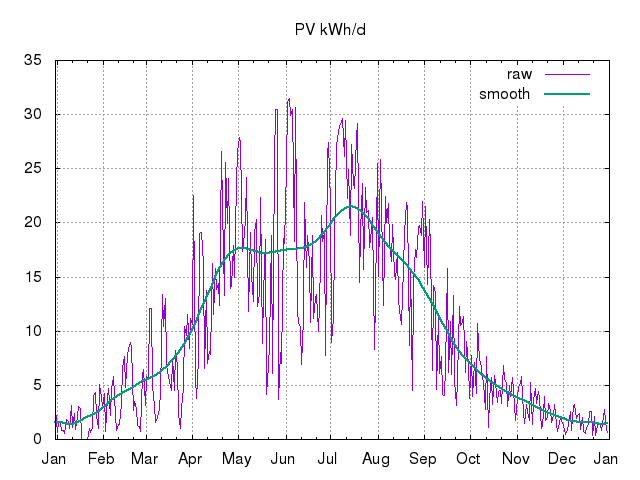 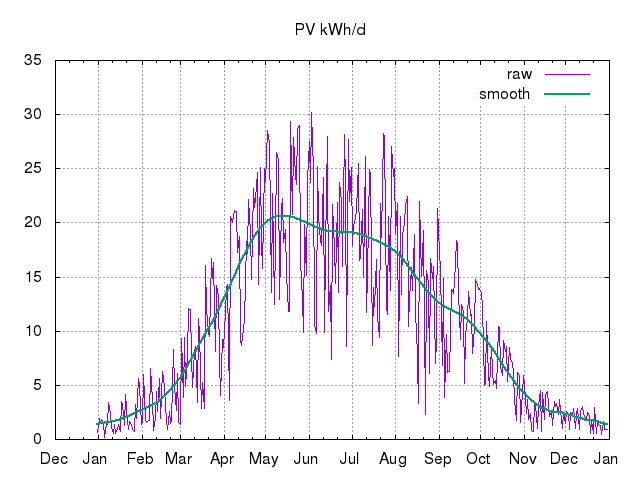 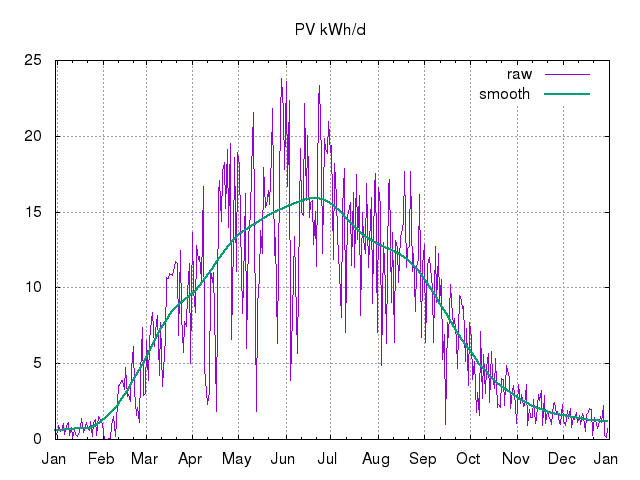 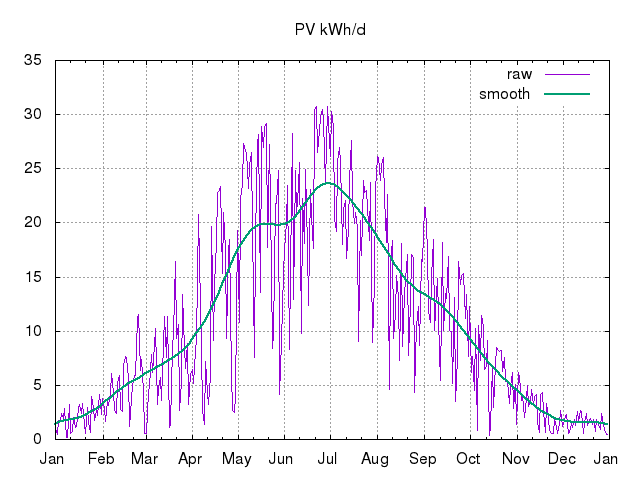 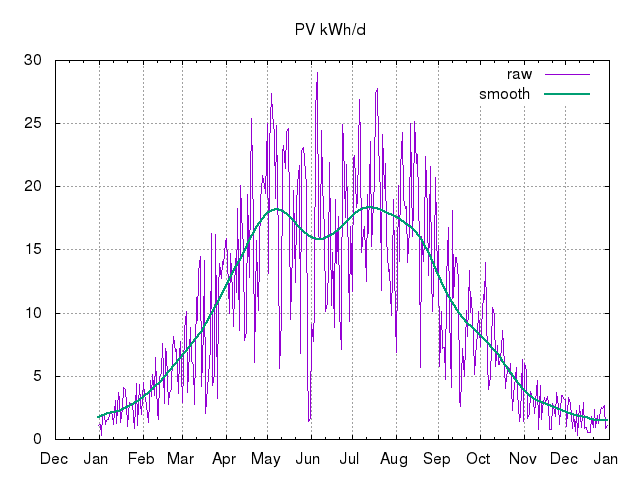 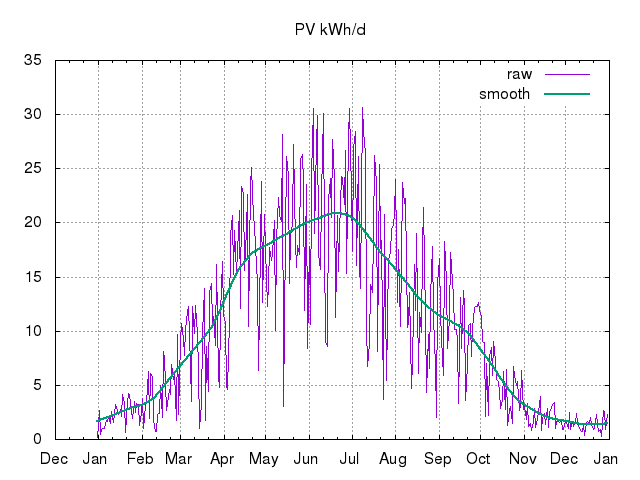 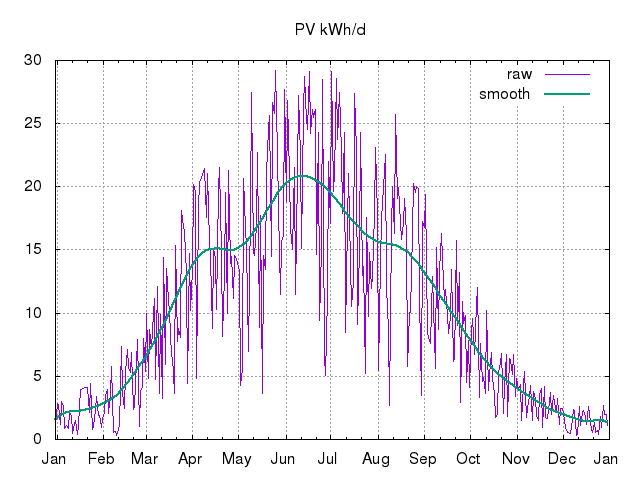 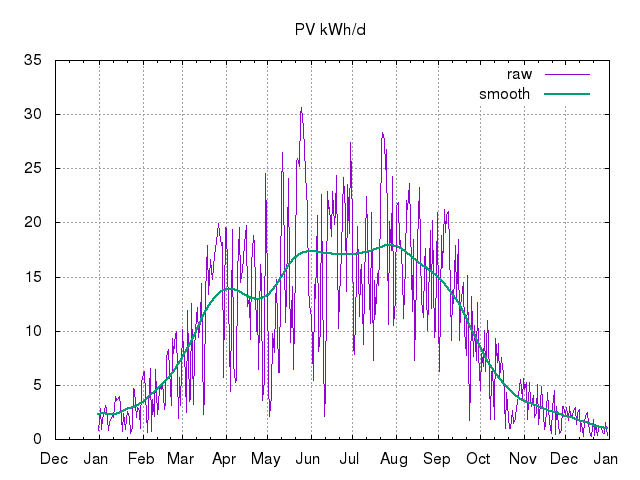 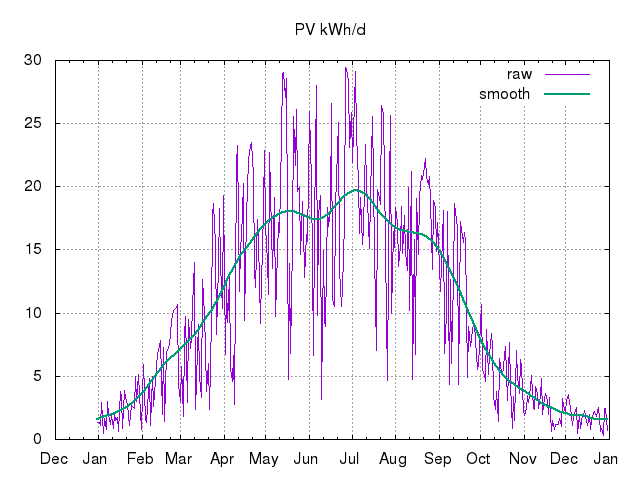 Chart for the whole data set, and collated daily kWh generation records with smoothing. 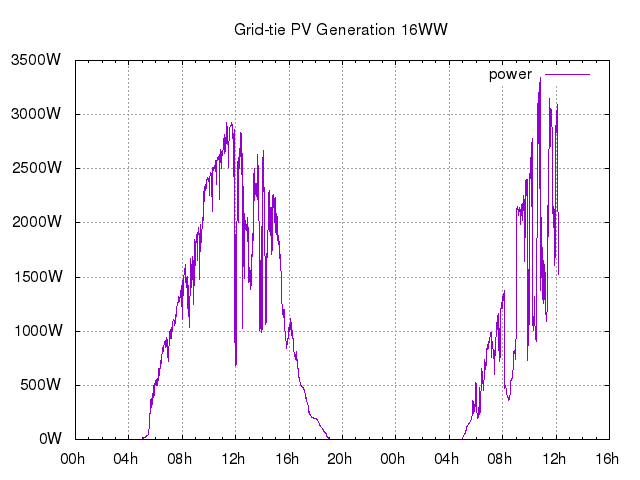 See also raw historic intraday generation data and at data/SunnyBeam/live/YYYYMMDD.log from 20140721. 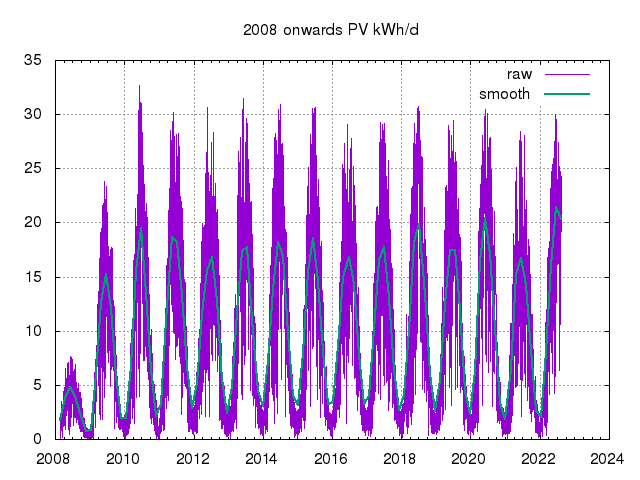 This page was automatically generated on 20190419 UTC (Fri Apr 19 19:02:22 UTC 2019).